DAILY shuttle service between Albany, NY, and points south to JFK & LaGuardia and Newark airports. * Infants 2 and under pay ½ fare (car seats are not provided but are required). Children under 18 must be accompanied by an adult. Prices do not include sales tax or applicable fuel costs. Sales tax must be charged for all travel with drop off points within New York State. Departure time indicates latest time vehicle will leave the airport facility. Note: We do not accept reservations for flights arriving at JFK after 5:00PM, or arriving at LaGuardia after 6:00PM. * Infants 2 and under pay ½ fare (car seats are not provided but are required). Children under 18 must be accompanied by an adult. Prices do not include applicable fuel costs. All shuttles are scheduled on a demand basis. Reservations are required and subject to availability. Reservations cancelled less than 48 hours in advance are non-refundable. For Express Shuttle reservations, use the form above or call (518) 489-3441 or toll-free (800) 772-2172. Reservation made online less than 48 hours are not guaranteed. Please contact our office for availability. Due to limited luggage space, each passenger is allowed 2 suitcases (less than 70lbs each), plus 1 carry-on. Additional luggage is subject to space availability. There is a $20 additional charge for each additional piece, and for oversize/overweight luggage. Premiere Express Shuttle Service, Inc. is not responsible for errors in timetable or inconvenience or damages resulting from delayed vehicles. Premiere Express Shuttle is not responsible for any items left on the shuttle vehicles or damaged during the shuttle trips. 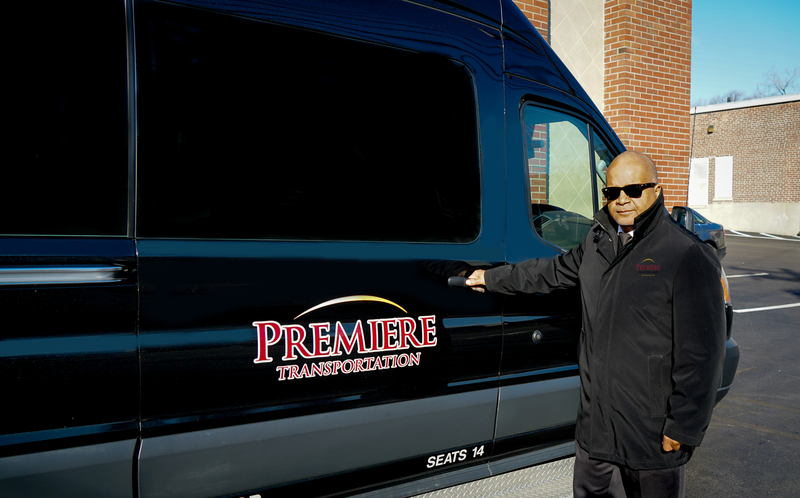 Premiere Transportation Group is committed to providing safe and convenient travel for our customers with disabilities. It is illegal to discriminate on the basis of a disability. We will provide assistance boarding and de-boarding vehicles as well as baggage handling at the beginning, during any rest stops(if requested), and at your destination. Pets are allowed on the shuttle for an additional charge, however passengers with pets are subject to cancellation depending on other shuttle passengers. Please contact our office prior to your trip to provide us with information about your specific assistance needs. This notice will help us minimize any delays or interruptions in your trip. If less than 48 hours notice is given, we will still make every reasonable effort to accommodate your needs, but trip delays may occur.